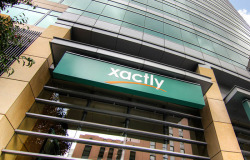 Xactly continues its pioneering ways by analyzing anonymous data collected by its customers in compensation management. If you aren’t familiar with the company or its groundbreaking market analysis, you might be in for a treat. Their appr oach is relatively simple but extremely powerful. With the permission of the data owners, Xactly strips out identifying information and conducts sophisticated analysis of sales compensation practices looking for patterns. The result is revealing because it comes from a very large data sample and it is corrected for potential bias and error. The company’s first effort revealed a small but real pay gap between sales reps based on gender with women earning less as is the case in much of the economy at large. Interestingly, women in sales stayed at their jobs longer than their male counterparts while out performing men by about 3 percentage points both as individual contributors and as leaders. Nonetheless, women were paid less in both base and variable compensation than men. Lastly, women appear to be better leaders than men and they build sales teams equally composed of men and women while male leaders’ teams were mostly male. Ok, that’s the gender gap. Xactly’s next analysis compared sales rep compensation across regions of the US dividing the country by time zones — Eastern, Central, Mountain, and Pacific — they found that sales people in the Central time zone received the highest base pay/variable pay mix as a percentage but were only third out of four in ranking their total compensation, despite having the highest average quota attainment of all regions at 82 percent. In stark contrast, average quota attainment in the Pacific, Mountain, and Eastern zones was remarkably consistent at 66 percent, 69 percent, and 67 percent respectively. For Xactly’s purposes this is very useful because it helps sales managers and others to compare how they compensate their reps vs. an industry average. But more broadly speaking, it would be nice to be able to drill into the numbers to a higher degree. For example, what is it about the Central time zone that drives sales performance that is on average so much better than other zones? My hypothesis, which could probably be proved with greater access to data, is that larger territories and fewer reps could provide better hunting prospects in the central zone but that’s just speculation. We don’t know if territories are richer in the Central zone but if they were it would suggest the attainment vs. opportunity ratio might be more congruent. And to the point, if attainment vs. opportunity can be so much better in the central zone, does it mean that the other zones might be over populated with reps? Having this kind of information drives all sorts of hypotheses that could improve performance. Luckily, Xactly has more data than it is publishing for free and it is providing deep dive analysis to subscribers of a new offering that’s designed to help managers at all levels to better manage their businesses. This is a great example of unforeseen opportunity inherent in Big Data. Prior to Big Data, one could speculate but never know these answers unless one wanted to conduct an expensive in-depth analysis of data collected especially for such an effort. But with all the data Xactly collects, suddenly this kind of analysis is virtually free and the insights are extremely valuable. More importantly, this kind of activity is happening all over the front office as more vendors take to analyzing raw data. Generally speaking we can point to before conditions that lack data and analysis and that relied on hunches and heuristics and if that’s true then the after condition has to be labeled science and that’s a big deal. We’re living in a new era in which front office business is transitioning before our eyes from art to science and it is driven by Big Data and analytics. We saw it happening in the back office decades ago as paradigms like ISO9000 and Six Sigma made precise, high-quality manufacturing a numerically based and repeatable thing. But manufacturing takes on more of the quality of physics while, in my mind, the front office is taking on the character of sociology — as it should. People after all have free will and the essential question of sociology is how social groups are organized to enable decision-making whether by structure or by agency. Structure, as you might guess, says that people behave in predictable ways because a social group is organized to funnel people toward desired behaviors. On the other hand, agency suggests that people empower themselves to go out side of established structures to behave in different ways. Life is full of both. Xactly’s efforts so far say that structure is fairly uniform throughout sales culture with minor exceptions. Somehow it is apparent that the compensation structure is consistent and skewed against women. Also, remarkably there are regional differences as well in the structure of compensation plans for all sales people. Equally significant it appears that women take agency in slightly different ways than men, for example, staying at their jobs almost a year longer. They may nurture their direct reports better possibly accounting for greater performance as managers and apparently they are doing something better as individual contributors too. There are bound to be differences between groups when we do this kind of analysis and the purpose is not to expose anyone’s behavior as “wrong.” The purpose is to use data and science to identify opportunities to manage better and Xactly’s insights into base and variable compensation do exactly this.